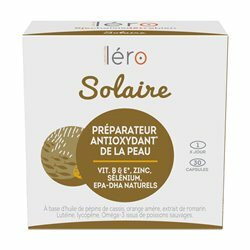 Kelo-cote® UV is used to prevent and treat hypertrophic scars and keloids while protecting them from the sun. Pigmented or depigmented scars . Pigmented, brown scars are more common in people with colored skin, or on the contrary depigmented, lighter. 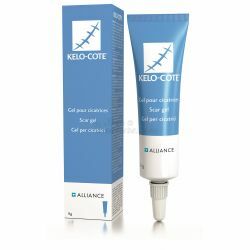 Kelo-cote® UV is a patented silicone gel for the prevention and treatment of hypertrophic and keloid scars. Kelo-cote® UV is convenient to use and is well tolerated. Kelo-cote® UV is a Class I medical device. Why are UV rays to be avoided during wound healing? The solar radiation consists of a series of electromagnetic radiations of different wavelengths. The shorter the wavelengths of the solar ray, the more energy they have and the more harmful they are. The infra-red thus have a role of warming and the ultraviolet (UV) a role of aggression. 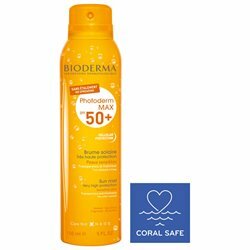 Normal skin should be protected by sunscreen. UVBs stop at the epidermis (vitamin D) and are responsible for sunburn. 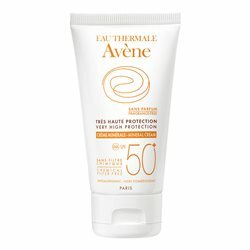 UVA penetrates to the dermis and causes the collagen and elastic fibers to deteriorate. An altered skin in the epidermis and the dermis is devoid of its natural defenses and must be doubly protected. Seek medical advice before use in children under 6 months of age. Exposure to the sun is to be avoided especially for children under 3 years of age and people who have benefited from epidermal cultures. Kelo-cote® UV is a patented formula composed of polysiloxanes, silicon dioxide and high protection sunscreens (SPF 30). Keep regular physical activity and drink at least 1.5 liters of water per day (mineralized water). Avoid industrial fruit juices, sodas and other sugary drinks. Protect your eyes from projections, trauma, light and radiation by wearing goggles. Increase your intake of dried fruits, unroasted and unsalted oilseeds, blue fish in cold seas (by checking their origin! ), Shellfish, crustaceans, pulses, cereals, fruits and vegetables in general. Ensure regular intake but no excess of calcium-rich dairy products: dry cheeses, yogurts, fresh cheeses. The Alliance Pharma France laboratory has taken over the activities of the dermatological laboratory Sinclair Pharmaceuticals in 2015. All the range of OTC drugs, medical devices and dermocosmetics are available in our online pharmacy. 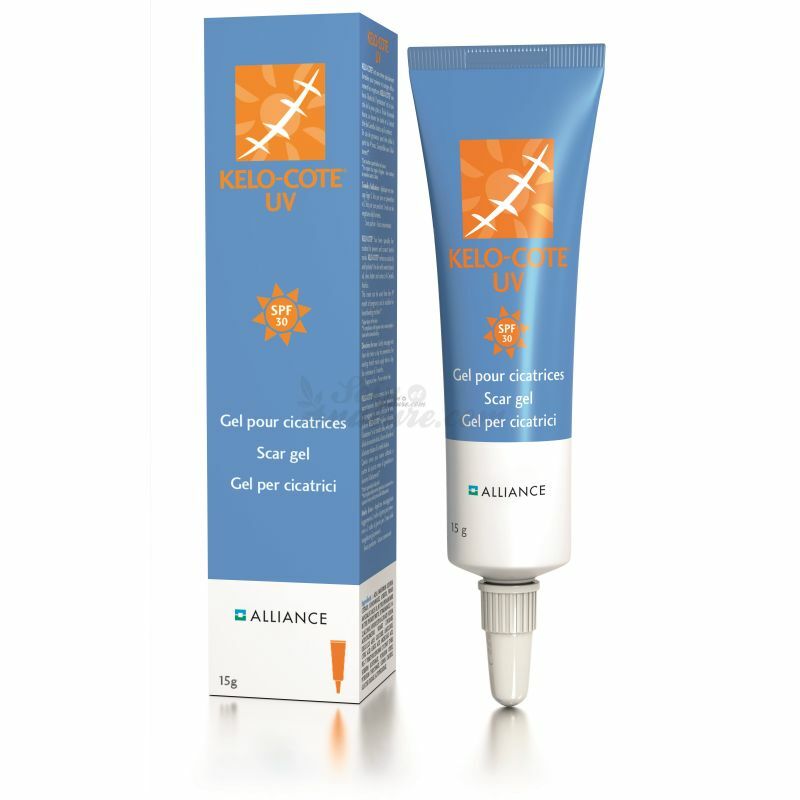 You can order Kelo-cote brand products for scar treatment, Oxyplastine for diaper rash, Jonctum for skin reconstruction or to treat burns, Effadiane for moisturizing dry and very dry skin, Papulex For the management of acne and skin with imperfections and Atopiclair recommended for atopic dermatitis, in our online parapharmacie, specialist in natural products of care. Change of temperature, limestone, chlorine, pollution, clothes, cosmetics, sun ... The skin undergoes daily many external aggressions, sources of itching , red patches , drying , etc. Dermatology is the medicine dedicated to the care of the skin , mucous membranes , nails , hair and hair . It allows, among other things, to treat acne , eczema , psoriasis , hair loss or fungal infections . Discover our selection of medicines to treat your dermatological problems , in our pharmacy department. No medicine will be delivered outside French territory. Only available at the pharmacy in Perpignan (France).